For many people the first day of spring serves as a green light for starting home improvement and spring cleaning projects. This can include things like washing all of the curtains and rugs in the house, preparing the planter boxes for the garden, scrubbing and cleaning the cupboards in the kitchen and bathroom, and organizing the attic and garage. All of these chores will have an impact on your water bill, not to mention the summer activities that are soon to follow. This is a great time of year to audit your water usage and closely monitor your bill. During the winter months homeowners are usually concerned with their power bill because of their heat source. However, moving into springtime and clean-up activities means switch focus from the power bill to the water bill. There are several reasons that your water bill might higher than necessary. Water pooling on the ground around your toilet. Sometimes this can be caused by condensation that accumulates on the toilet bowl during showers. However, if your bathroom is sufficiently ventilated and you run the fan when bathing, the puddle of water could be caused by a leaking toilet. Dripping faucets and pipes. If any of the faucets around your home are dripping even slightly this can waste several gallons of water every day. Don’t forget to check the showers and washing machine hoses also. All of these areas are vulnerable to leaks and could cause unnecessary water usage and an increase in your bill. Your water meter still spins even when all of the water fixtures in your home are turned off. Turn off the main water valve to your home and check the water meter, write down the number on the meter. Turn the main water valve back on, but don’t use any of your water fixtures, wait a few hours and turn the main back off. Check the water meter and write down the number. If the second reading is larger than the first then you likely have a leak. 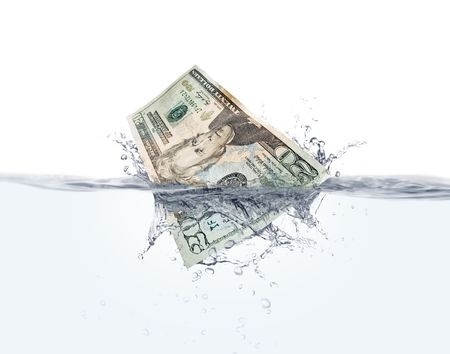 Monitoring your water bill is a good way to keep your monthly utilities down and conserve resources. Use the time before the hot weather really sets in to check-in on your water bill and make sure that you are not using water unnecessarily.